Meghan Markle makes a fashion statement in a denim dress. Take a look. 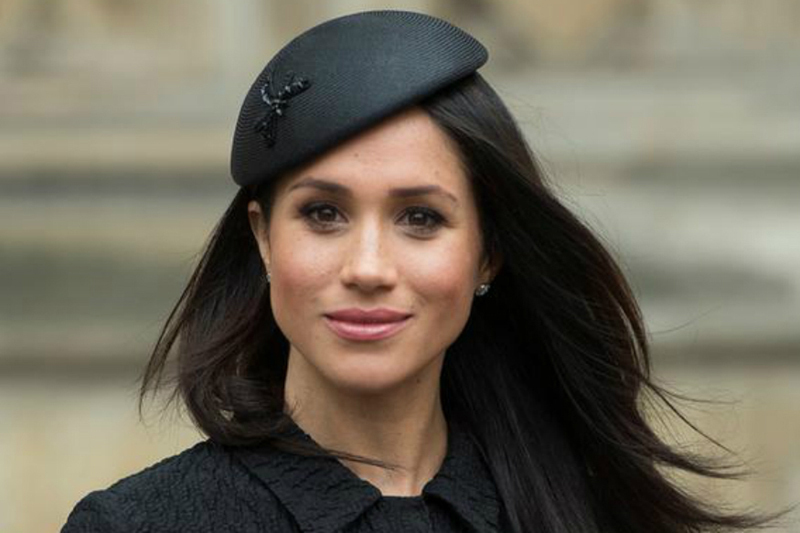 Ever since her wedding with Britain's Prince Harry, former American actress Meghan Markle has been under the media glare. From her royal engagements to her casual outings, each official and unofficial appearance by the Duchess of Sussex is carefully scrutinised by media personnel from across the globe. [post_ads]While most of Meghan's fashion choices have left many impressed, her latest look explains how denims too can be a part of a royal's wardrobe. On Thursday, Meghan opted for a easy-breezy Carolina Herrera mid-length denim dress for her appearance at the Royal County of Berkshire Polo Club to cheer on her husband Prince Harry who was participating in a charity polo match to raise funds for Sentebale -- a foundation set up by the 33-year-old royal and Prince Seeiso of Lesotho in 2006 to help HIV-affected children in Lesotho and Botswana. Meghan looked uber chic in the fuss-free attire that cinched her waist. The Duchess opted for a basket clutch, courtesy J. Crew, beige footwear and sunglasses to protect herself from the glaring sun. She tied her hair in a messy bun and opted for minimal makeup to complete the look.